I’m really enjoying motherhood. I must admit the role of a mother isn’t easy, but you get to evolve in ways you never even saw coming. It’s needless to say you turn protective 24/7, but if there’s one thing I didn’t enjoy about it was the fear I was turning into a person with OCD with all the worries about whether or not I’ve childproofed the home enough so Matthew could grow up safe and sound. Of course, what started this was the fact he got a fascination with doors as soon as he started crawling, like all kids do thanks to their enormous curiosity; whenever he’d see an open door, he’d crawl his way over to check out what’s at the other side. Things got worse when he began walking, and running, reaching for the handles. My main worry was the front door, until my husband found the solution to be in the form of a screen door, paired with screen door accessories. Not wanting to leave things to chances, I took care of all the other doors with the help of lever handle door locks. Lever handles are scary on their own, and definitely easy for toddlers to figure out. Though not all of the handles are lever, I couldn’t resist the urge not to lock up all those that are. As for the others, the door knobs, I found a pinch guard to be most useful, as it helped with preventing Matthew’s fingers getting jammed. Now back to the screen door – not only did this turn out to be great in keeping Matthew out of the way, but it also worked perfectly with increasing the value of our home, and improved ventilation well in those warm spring and autumn days. 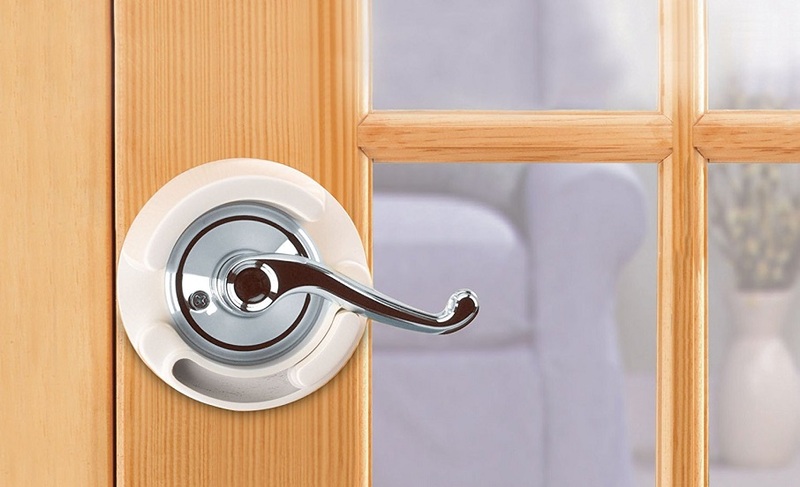 The variety of screen door accessories, like the much-needed screen guards for utmost security, to make the door less accessible from outside, hinged door closes, and bug seals, has further added to the value of the screen door itself. What I love about screen doors is the fact they can be customised, so they fit any home, any door (yes, even sliding doors! ), and any style. On the plus side as well, when it comes to style, these doors have plenty to offer; from the variety of materials they’re made of, to the variety of colour, and design, there’s the right one for everyone’s taste. In the case of sliding screen door, there’s more freedom when you want to increase the safety, childproofing-related. For instance, for some a chain lock might work, for others baby gates when there’s enough room in between the screen door, and the glass one, or the simple DIY solution – duct tape. Childproofed doors equal peaceful mum, and a not-so-pleased toddler.